The Fiji Airways Flying Fijians is expected to make few changes to its starting line-up for the match Uruguay in the Northern Hemisphere test match on Sunday. McKee is likely to make changes on the wings and in the front-row. Viliame Mata and Semi Radradra are two players who had an outstanding performance in their 54-17 loss to Scotland last weekend. 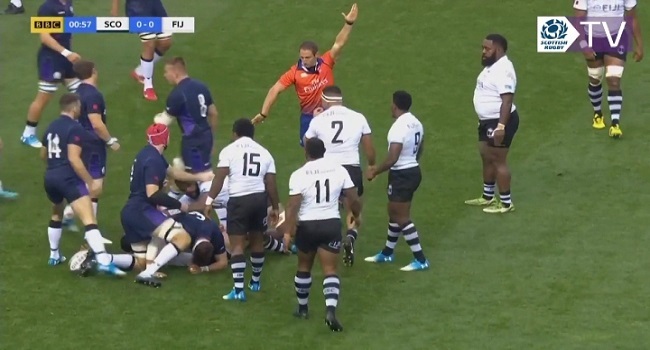 Battling with Fiji’s big men has given Scotland a taste of what is to come when its faces South Africa on Sunday. According to Gregor Townsend, he knows that the Springbok challenge will be much more sustained and coordinated. Scotland meets South Africa at 6.20am on Sunday while Fiji plays Uruguay at 2am in London.